When one or two just won't do, give this stunning trio of gorgeous roses, orchids, and lilies, combined with pretty pink celosia and blue caspia for an elegant accent. 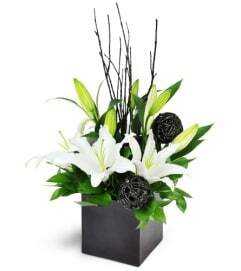 This eye-catching arrangement is crisply chic, yet classic, for the discerning gift giver. 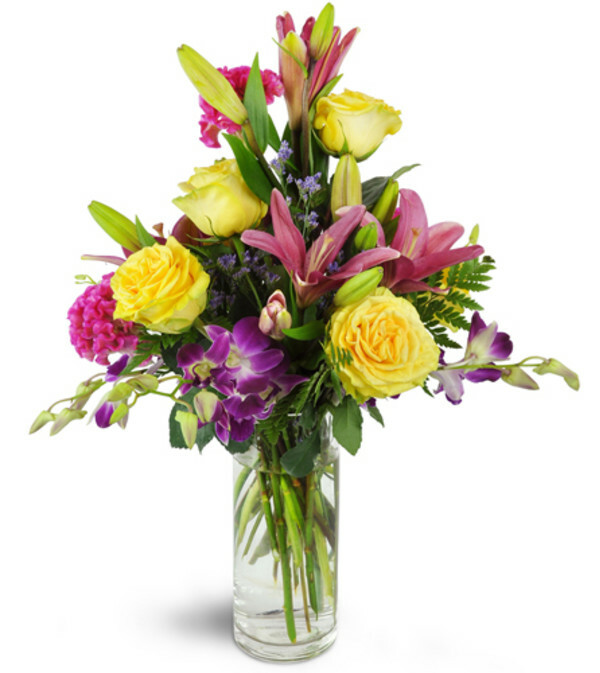 An anniversary and birthday favorite, this lovely bouquet is also great for a special thank you. 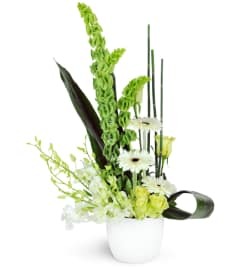 An abundance of roses, lilies, dendrobium orchids, and more are simply stunning in an elegant glass vase. They were beautiful . . .thank you!! 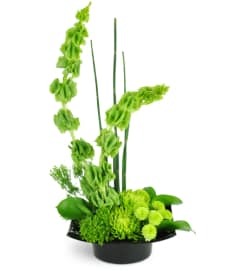 The arrangement was even prettier than the picture on the website. But for sure the hand written note of my message was perfect in every-way. 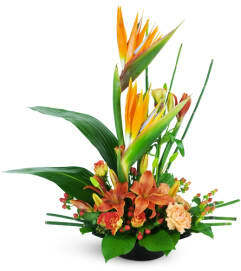 Thank you for making the Floral gift even more special, with much thanks and appreciation. The Clay Pot is a Lovingly Florist in Chicago. Buying local matters. Discover how Lovingly supports local florists. Copyrighted images herein are used with permission by The Clay Pot.